Hot and Cold. 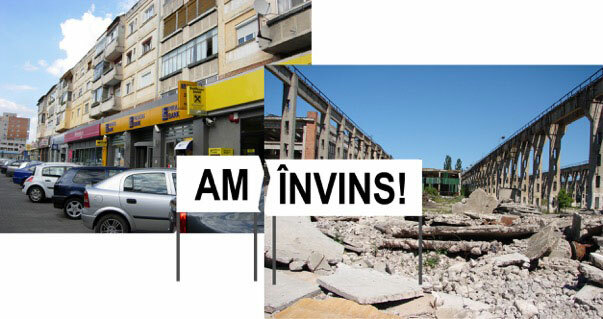 Revolution in the Present Tense is a series of performances and urban interventions that will consider how creative commentary on the 1989 Revolution in Romania can respond to present concerns about social participation and urban identity. While the events in this project spanning across two major Romanian cities, Cluj and Timisoara, are designed around the topic of the memory of the Revolution, their main focus is not on the events of the past per se, but rather seek to get a glimpse of the different social imaginaries in which these events acquire significance. The three artistic teams who will contribute projects have been working on public space and with various local communities for a number of years, and they were invited in the Hot and Cold event for their distinct, yet complementary perspectives on how media, memory and public space converge to generate and shape subjectivities. In their previous projects, Anca Benera and Arnold Estefan focused on making visible the disproportionate relationships between individuals and bureaucratic organizations going global; h.arta have been addressing gender roles and how they are structured in society, while studioBASAR have been working at the interface of architecture, journalism, and intervention. For Hot and Cold. 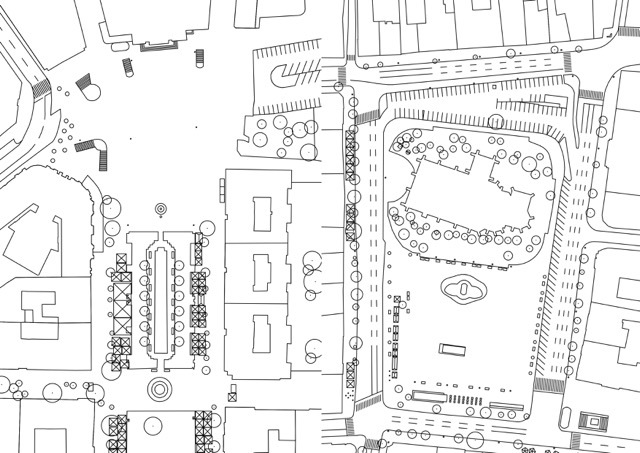 Revolution in the Present Tense, each of the artists’ projects involves moving throughout the city, investigating how public space has been altered by the Revolution and by its multilayered memory. h.arta will walk around each city with banners marking locations of loss (closed schools, empty factories) and places of power (banks, corporate headquarters), shedding new light on the juxtaposition of positive and negative change. studioBASAR will build a cart with scale models of central squares, inviting passersby to consider the Revolution in the context of the public spaces where it happened, and contribute to a “memory bank” by recording their own stories about the Revolution. 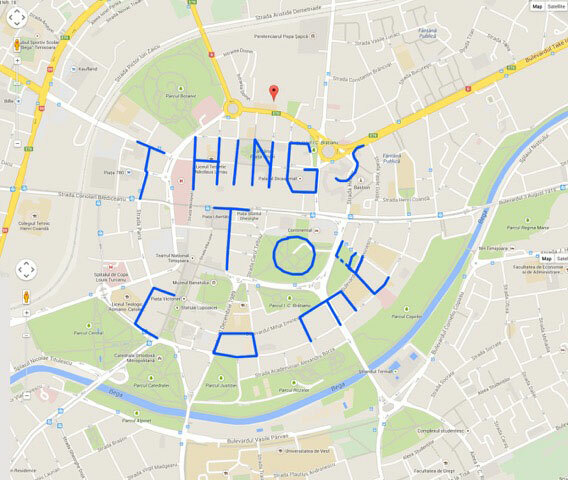 Anca Benera and Arnold Estefan will use technology to draw in the streets, marking their route with a GPS tracking device which records their movements on a map to write out the phrase “things to come.” Their movements and their route will be projected live for audiences to follow their path both in physical and virtual space. Each of the projects by these three artist teams address issues of language and power, accessibility to public space, and digital technology – all of which have emerged as important topics of debate over the past 25 years. Moreover, working closely with artists to develop each individual contribution, it has become apparent there is a need to think about revolution beyond the precise parameters of local events, and more as a language that is spoken louder and wider. We might look at revolution today as one of the constitutive phenomena of urban life, spanning cultures and places. From the East towards the West and from the periphery towards the center of the cities, the language of revolution works to upset the geographies of power whose mechanisms we internalized, and sometimes this language becomes powerful enough to expose their transitory character. In a general context where we witness a multiplication of ideas about revolution, what it is and what it does, the memory of the 1989 events in Romania is still publicly activated through the official idiom of commemoration. But what does the Romanian Revolution look like seen from the present, from the perspective of generations that have not witnessed it, but that nonetheless come to understand its language? The project is organized by Roxana Bedrule & Anna Harsanyi in partnership with the Simultan Association from Timisoara. The project takes place with the support of the Ratiu Foundation UK and with the generous contributions raised following a succesful Tilt campaign. For more details about the event, visit http://caldlarece.net.